This is one of those projects that a little bit goes a long way. A super simple way to light a walk way, dress up a porch or create a centerpiece at a holiday BBQ. Whatever you decide to use them for, these hurricanes couldn't be easier. I have a real sickness when it comes to glass jars. I refuse to throw them away and literally argue with my inner recycler over whether to throw that spaghetti sauce jar out or not, because I can use that for something. Like eventually all glass jars will be nonexistent, and the leaders of our country smile and nod at me because I've been saving all jars, bottles and containers....you know, because plastic has taken over the world or something like that. So from mayo jars to pickle jars, they get put in the garage until I find a use for them. Let the record show (and let my husband know too), that I have found a use for some of them. I used the large (restaurant size) pickle jar and mini flags. I found the flags at Target, 3/$1.00-that's the cheapest I've seen. Remove the label and clean the jar, soaking works best for me. Take the the flags off of the sticks. spray the back with spray adhesive and apply to jar. I just eye-balled it. To seal the flag, I put on a coat of Mod Podge, careful not to get any on the glass. I used two flags per jar, and that is it! I put a little sand in the bottom to hold a votive cup level and I lined them down the walkway. So some evening shots are in order, although it's tough to get a good night shot. I like the simple look of them, but you could certainly embellish them more. Tie some jute or ribbon around the mouth of the jar, or if you are into the primitive look, coffee stain the flag first and then apply to the jar (after it's dry of course). Thanks for stopping by, I hope you're inspired! beautiful idea Michelle. I'm kicking myself for sending my pickle jars away to be recycled. This is just the cutest idea! I love it! Thanks for sharing! This is simple, yet FABULOUS!! Thanks for sharing.. love them! Love these. Let us know if you come up with some other ideas for glass jars. I am trying to think of other things that I could put on them. How cute is that! Great idea to recycle. That is so true about plastic! I also like to save class jars but I soon run out of space to store them. This is an awesome idea! I love how they look in the evening - super pretty. Have had enpty jars on the kitchen counter for 3 days, finally put them in the recycle bin this morning, but now thanks to you, they're back out! So doing this, thanks for the great idea! Way cool idea. Makes me want to have a party. Neat idea! Thanks for sharing! these are fabulous!! 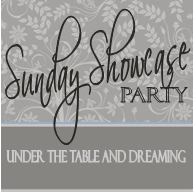 i would LOVE for you to link them up at my link party going on now!! Beautiful. I am a saver too, much to my dh's dismay! Oh my word!! I absolutely love these! Please share this post and any other patriotic/Americana posts at my Patriotic Linky party going on right now. I love these lamps and must try them. I could probably find some at our estate sales downtown in our little city. Thanks for sharing this grand idea. Have a safe and Happy 4th of July!! Michelle, you never cease to amaze me with what you come up with, I am SO going to do this with all those little flags I have, genius you are! What an innovative idea! I love the way the candle lights up the flag! Hi to every one, as I am truly keen of reading this web site's post to be updated daily. It consists of fastidious data. love these. I have been saving jars for about a year now, so I love new ideas, thanks for sharing! Like you, I love clear glass jars, and I love this idea.